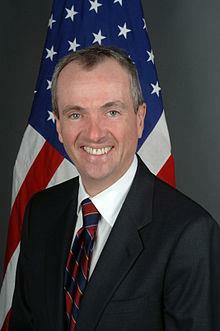 Phil Murphy, New Jersey’s new Democratic Governor, announced that New Jersey intends to join a multi-state lawsuit challenging President Trump’s decision to terminate the DACA (Deferred Action for Childhood Arrivals) program for DREAMers. This is a noteworthy and critically important policy shift in that Murphy’s Republican predecessor, Governor Christie, had joined with other GOP governors in a lawsuit that sought to have the DACA program declared void back in 2015. The lawsuit that Murphy intends to join, which includes 15 states and the District of Columbia, was initiated by New York Attorney General Eric Schneiderman in September and argues that state economies will be adversely impacted should DACA recipients lose their status. The lawsuit reportedly has a twofold purpose: 1) to seek the continuance of the DACA program and its associated privileges for the DREAMers so that they will not be out of status and subject to removal/deportation from the United States; and 2) to demonstrate that President Trump’s decision to terminate the DACA program was discriminatory against Mexicans who represent the largest demographic of beneficiaries of the program (78%). Immigration attorney Edward Shulman, founder of the reputed New Jersey-based Immigration firm, the Shulman Law Group, noted that a federal judge in California temporarily blocked the repeal of DACA as part of a separate lawsuit filed by California and other states. New Jersey will seek the same result in the Eastern District of New York, where the lawsuit initiated by Schneiderman and joined by Murphy is being heard.